Download a zip file containing all of the clip art for this set. 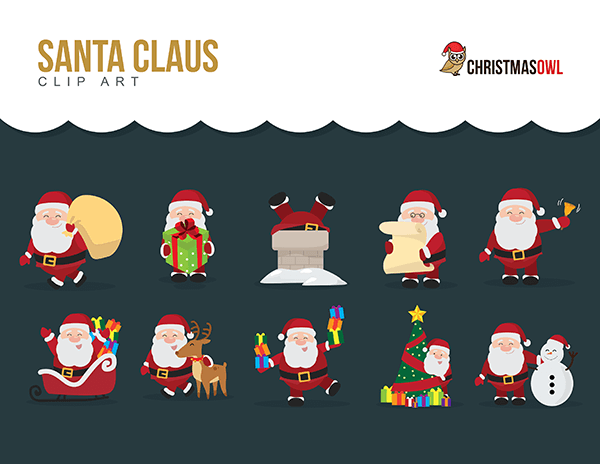 A collection of Santa Claus graphics featuring Santa in various poses and scenes including Santa with a sleigh, a Christmas tree, and more.This clip art is for personal use only. The graphics are transparent PNG files at 300 DPI.